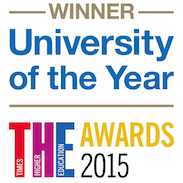 Coventry University continued its unprecedented year of success tonight when it was named ‘University of the Year’ in the annual Times Higher Education (THE) Awards. 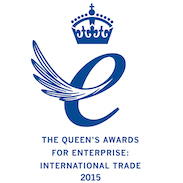 The University fended off competition from five other shortlisted UK institutions to be awarded THE’s flagship accolade in recognition of its achievements and performance over the year. Vice-chancellor John Latham was presented with the award by comedian Rory Bremner during what is described as the Oscars of the higher education industry, which celebrate the pioneering spirit, adaptability and quality across the university sector. 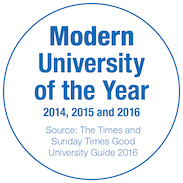 Coventry’s latest accolade follows a number of notable achievements, which include being named ‘Modern University of the Year’ for the third time by the Times and Sunday Times Good University Guide. 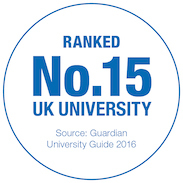 The University also rose into the UK’s top 15 in the Guardian University Guide, was voted top for personal developmentin the National Student Survey 2015, and was presented with one of the most coveted accolades in UK business – theQueen’s Award for Enterprise. 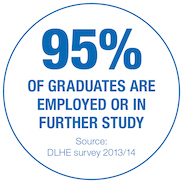 This is a landmark achievement for Coventry University and a wonderful testament to our staff who have worked so hard to make this such a successful year. Competition is fierce at the THE awards, so it’s quite an accomplishment for us to have achieved this kind of recognition within the industry. There’s much to celebrate, but it’s what’s going on beyond the accolades and league table positions that is what I’m most proud of – particularly the way we help our students to reach their full potential, whether through the hands-on, activity-led learning approach we pioneer at Coventry, the international opportunities they have, or through the vast array of sports and activities at the students’ union. This award is for everyone in our community of learning. Staff, students, local businesses we support and residents who we engage with on a regular basis – this is something that Coventry as a city should feel proud about.